Elisa Hendrik Bakhuys, better known as Beb Bakhuys, was born in the Netherlands Indies but raised in The Hague. 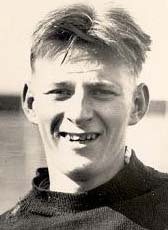 He signed in 1937 as third Dutch player a contract abroad (attacking midfielder Gerrit Visser was the first in the USA). He returned in 1947 to the Netherlands. Bakhuys died the 7th July 1982.